1. Believes Torah is a WAY of LIFE rather than a list of negative commands. Deuteronomy 32:46-47 he said to them, "Take to heart all the words of my testimony against you today, so that you can use them in charging your children to be careful to obey all the words of this Torah. (47) For this is not a trivial matter for you; on the contrary, it is your life! Through it you will live long in the land you are crossing the Yarden to possess." Matthew 5:16-19 In the same way, let your light shine before people, so that they may see the good things you do and praise your Father in heaven. (17) "Don't think that I have come to abolish the Torah or the Prophets. I have come not to abolish but to complete. (18) Yes indeed! I tell you that until heaven and earth pass away, not so much as a yud ( י ) or a stroke will pass from the Torah — not until everything that must happen has happened. (19) So whoever disobeys the least of these mitzvot and teaches others to do so will be called the least in the Kingdom of Heaven. But whoever obeys them and so teaches will be called great in the Kingdom of Heaven. 2. Believes a Torah based community begins in each individual home. Models of respect of authority, obedience, and the sweet fruit of correction reside in each home. c. Member Conduct: Members of MHSA are a work of YHVH in progress. Each one is undergoing training and learning as they progress toward the goal of becoming a skilled servant of excellence of the King of Kings. ALL conduct/behavior at ALL MHSA gatherings and activities must demonstrate knowledge and understanding of that GOAL. 1 Timothy 3:8-13 CJB Likewise, the shammashim must be of good character, people whose word can be trusted. They must not give themselves to excessive drinking or be greedy for dishonest gain. (9) They must possess the formerly hidden truth of the faith with a clean conscience. (10) And first, let them be tested; then, if they prove themselves blameless, let them be appointed shammashim. (11) Similarly, the wives must be of good character, not gossips, but temperate, faithful in everything. (12) Let the shammashim each be faithful to his wife, managing his children and household well. 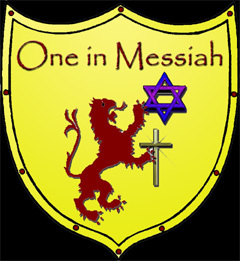 (13) For those who serve well as shammashim gain good standing for themselves and much boldness in the trust that comes through Yeshua the Messiah.